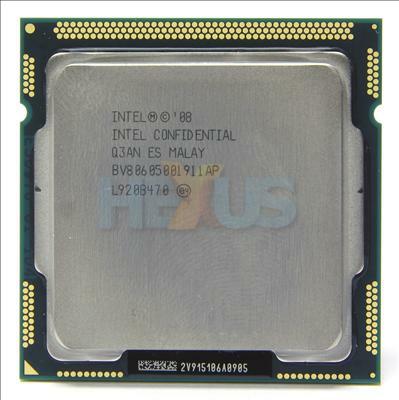 Intel launched the consumer Core i7 processors back in November 2008. We took an in-depth look at the architecture and performance numbers and surmised that it was it was most things that Core 2 Quad should have been. The chip giant has known that it's been on to a winner with Nehalem, the codename for the underlying architecture. This is the reason we've seen little innovation on Core i7, and pricing has remained relatively steady since launch. 10 or so months later and no dramatic changes have been made. AMD continues to inch closer with a succession of higher-clocked, attractively-priced Phenom IIs. Intel has responded by snipping the price of various Core 2 Quads. We knew that Intel was planning on launching a lower-cost derivative of Bloomfield Core i7 - you'll see why we make this particular reference on the following page - and motherboard partners had core-logic ready months ago. Today sees Intel bring a triumvirate of Lynnfield chips to market. Confusing nomenclature included as standard, we take a look at the Core i5 750, Core i7 860 and Core i7 870.